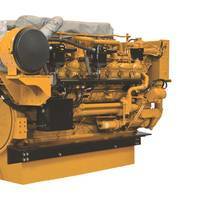 Caterpillar Marine Power Systems brings together all the sales and service activities for Cat and MaK branded marine products within Caterpillar Inc. This organization provides premier marine power solutions and customer service from a single source for the global ocean-going, commercial and pleasure craft markets. Caterpillar offers a comprehensive marine diesel power range and a complete, continuously evolving product line. The result is one source for total power solutions on board, providing electronic marine engines, gensets, and vessel controls. 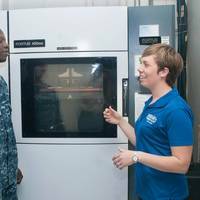 The U.S. Navy hosted its first 'Maker Faire', a series of workshops titled, "Print the Fleet," to introduce 3D printing and additive manufacturing to Sailors and other stakeholders attending a two-day event held at Combat Direction Systems Activity (CDSA), Dam Neck, a Navy warfare center. The Navy's event took place on the heels of the first White House Maker Faire, held June 18. The White House event showcased the work of entrepreneurs and forward thinkers from around the country, as well as students exploring Science, Technology, Engineering and Math (STEM) related skills. 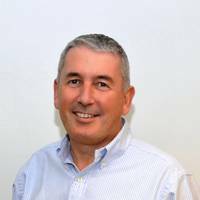 Pulse Structural Monitoring, an Acteon company, has appointed Mike Campbell as its new operations director. Based in the U.K., he will lead the production, project management and offshore departments and help to manage Pulse’s recent geographical expansion. Campbell brings extensive experience to this role, having been responsible for managing manufacturing, quality, health, safety and environment and supply chain for a group of companies with operations in Europe, Asia, the U.S. and Australia. Wärtsilä Yuchai Engine Co., Ltd, the joint venture owned 50/50 by Wärtsilä and Yuchai Marine Power Co. Ltd., has begun construction of its new production facilities with a groundbreaking ceremony in Zhuhai City, Guangdong Province of China. The agreement to establish the joint venture was signed in December 2012. The company will manufacture medium-speed marine engines to serve the increasingly dominant Chinese shipbuilding industry. The products to be manufactured by the joint venture company will include the Wärtsilä 20, Wärtsilä 26 and Wärtsilä 32 series of medium speed engines. Production is planned to start in 2014. "Today marks an important step towards our goal to serve our customers in the Chinese shipbuilding market in the best possible way. Signal International has been awarded $30m contract by Waller Marine Inc. of Houston, Texas. Under the contract Signal will build and support the outfitting of two 300 ft X 100 ft power barges. Each barge will have a single GE 7FA Gas Turbine and 171 MW generator. Upon completion of the barges Waller Marine will install and operate the units in Venezuela. The barges will be built to ABS classification at Signal’s shipyard in Orange, Texas. Signal recently concluded a three-year transformation of the Orange fabrication facility and shipyard. Nearly $40m has been invested in process improvements and continuous flow manufacturing methods. A new shape in navy warships is quickly taking shape in the U.K., as Vosper Thornycroft (VT) has completed structural work on the 321 ft. (98 m) Trimaran Warship demonstrator being built for the U.K.'s Defense Evaluation and Research Agency (DERA). The upper bow structure, weighing approximately 25 tons, was maneuvered into position on the RV Triton, which is scheduled for launching this month. The ship will be delivered to DERA in August before starting the initial phase of a trials program that will determine whether trimaran hulls will be considered for the Royal Navy's Future Surface Combatant. BT has built the ship using mega-blocks weighing up to 200 tons each. Five mega blocks have been fabricated and extensively fitted out before consolidation. Developments in shipbuilding have been driven by needs to simplify the engineering and manufacturing. The cause is not just to become more competitive but also to avoid problems in controlling engineering and manufacturing costs. Two recent examples carried out with ShipConstructor include a small 7.5-m aluminum police boat and a 120-m car/truck/pax mono-hull fast ferry. Both vessels have been 3-D modeled using the same ShipConstructor software, which can be scaled to be a price efficient solution for small and large vessels at the same time. The software maintains the same functionality. The reduced cost version is only limited in the maximum number of parts in the project. Developments in boatbuilding have been driven by needs to simplify the engineering and manufacturing components. One desired effect is, of course, to become more competitive; one can look ? for example ? at the fast ferry industry, which in some instances has had significant problems in controlling engineering and manufacturing costs. Rolf Oetter has developed shipbuilding software for more than a decade. Through his international contacts with shipyards and designers, he has gained insight into many different ship productions procedures. Rolf Bjornert has used aluminum as a construction material and developed and built a number of smaller hulls, some of them with rather complex shapes.